For those seeking relaxation and extraordinary service, Harbour Village Beach Club offers a unique oasis, above and below the sea. 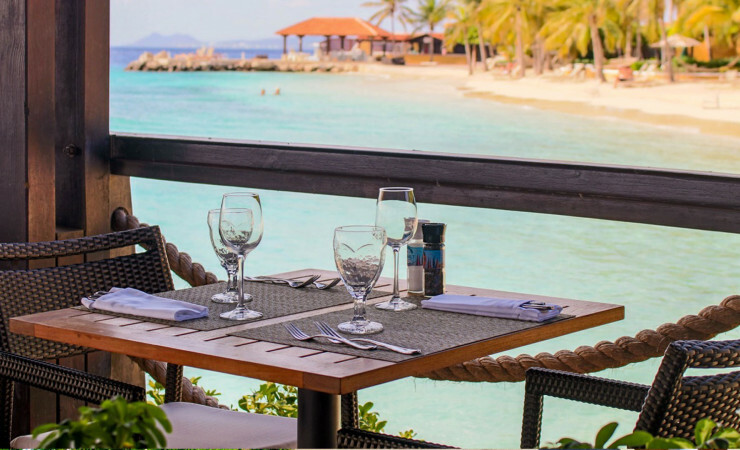 The white-sand beach lined with palms, Bonaire’s most exclusive and only private beach, offers a peaceful escape with hammocks for napping and lounging, lounge chairs, beach towels and beach service from La Balandra Restaurant. Guests enjoy snorkeling or diving right from the shore, with snorkel gear available from the beach-side PADI 5-Star dive center. Access to resort swimming pools and fitness center is limited to our in-house resort guests. Reservations for massages, diving, snorkeling, kayak & paddle board rentals or tours can be made at the Front Office. Beach day pass guests are temporary members of the Harbour Village Beach Club. Beach day pass guests must register at the Club’s front office to obtain access to the Club’s private beach, dive center, restaurant and complimentary WiFi. The temporary membership is subject to the Club Rules and Regulations. Reserve your Beach Day Pass at Harbour Village Beach Club by filling in the form below. Please be advised that this is a request only. A member of our team will contact you shortly to confirm your reservation request. *All rates exclude 6% sales tax. Beach Passes must be paid in full at time of reservation and are fully nonrefundable. $75+ tax per person rate applies from November 1- December 21, 2019 and January 4- April 30th, 2020. $55+ tax per person rate applies from May 1- October 31, 2020.